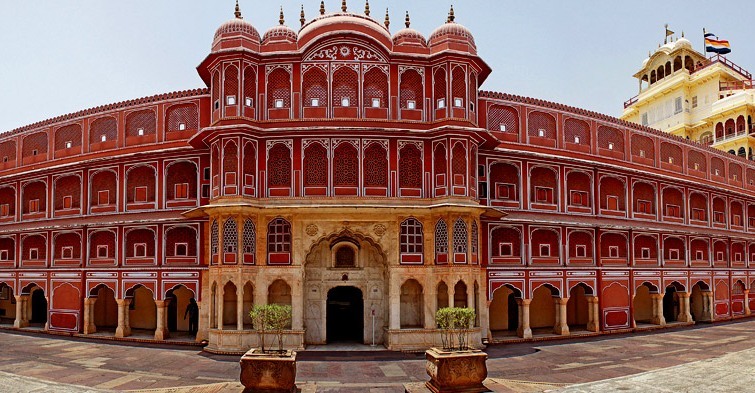 The capital and largest city of Rajasthan, Jaipur is the Pink City of India. Jaipur was an important cultural hub in the 18th century and is the first planned city of India. 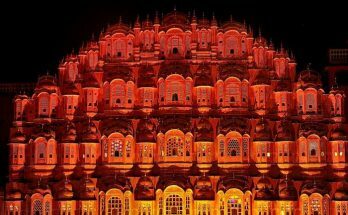 Jaipur is an important tourist destination for its collection of palaces, architectural beauty, temples, forts and culture. These elements make the place more famous among local and international tourists. Jaipur is an important destination in Golden Triangle Circuit of India and is an important destination in any itinerary of Indian luxury trains like Deccan Odyssey. Shopping is an important activity here. The bazaar near City Palace is famous for souvenir shopping. You can find handicrafts, antiques, ethnic wears and much more here. Light and sound show of Amber Fort is an important activity to enjoy. The show explains the culture and history of the land. Enjoy the local dance and performance art of the region. You ought to enjoy the cuisine of the land. The cuisine is famous for its meat dishes and spices. There are numerous spas in the region to enjoy a pampering evening with signature massages and other treatments. The city also has numerous temples, museums, parks and other attractions. If you are looking for a luxurious way to reach and enjoy Jaipur, luxury trains are the best option. 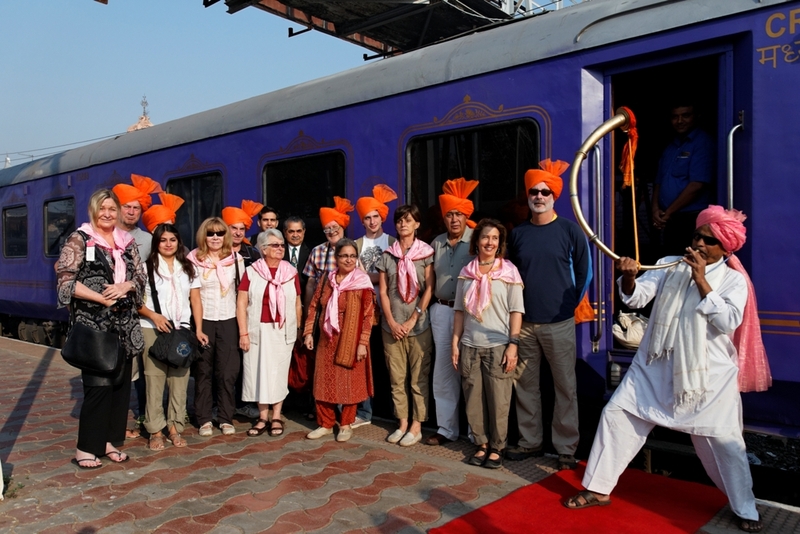 There are numerous luxury trains in the country, which include Jaipur in the itineraries. It is important to choose itineraries that provide equal importance to Jaipur and other destinations. For full-fledged vacation, you can choose itineraries of Deccan Odyssey. In luxury trains you got a chance to experience many luxury facilities and services such as presidential suites and coaches Rejuvenating Ayurveda & Spa, High-tech Conference Car, Sitting Lounge, Bar and Restaurant and many other services. Indian Soujourn & Indian Odyssey are the two famous journey of Deccan Odyssey which covers the destination of Jaipur – Pink City of India. The nearest airport is located in Jaipur. It serves a few international locations like Dublin, London and others. The nearest busy airport is located in Delhi. Flights from Delhi to Jaipur are available every day. From the airport, you can easily find buses, cabs or auto to reach required destination. Jaipur has a busy railway station that connects the city with many important destinations around the country. Jaipur receives daily train from Lucknow, Bikaner, Kanpur, Jaisalmer, Haridwar, Agra, Bhopal and others. There are three stations in Jaipur; Jaipur junction (the busiest station), Durgapur and Gandhinagar station. From the railway station, you can hire buses, cabs or auto to reach your accommodation. Jaipur has a well-laid road system. Thus, you can easily find buses and cabs to and from Jaipur. Government and private buses run between numerous destinations across the country and Jaipur. Buses halt at Narayan Singh Circle or Sindhi camp bus stand. Express buses are available from different parts of Rajasthan to Jaipur. You can hire cabs from many important cities to Jaipur. You can find numerous car rental options from important cities like Delhi. The cost and availability depend on the season. The best time to visit Jaipur is between November and February. This is the time to enjoy numerous festivals and events. Moreover, the climate of the land is also pleasing during this season. Summer starts in March and ends in May. The summer is hot and exhausting. However, it is also the best time to find better deals in hotels and accommodation. If you wish to enjoy the city in the most pampering way, even in summer, luxury trains are the best options. Monsoons start in July and ends in September. This is the worst time to visit the region. Jaipur is the land with numerous outdoor sightseeing spots. Rainfall is moderate to mild in this region making it harder to scale the place to enjoy all attractions. Winter starts in October and ends in February. The climate is pleasing and crowd is guaranteed during this season. If you are visiting in winter, make sure to pre-book every amenities required for your travel including cab services.